It's hot and you don't want to cook. I get it. What you do want is a sno-cone–and lots of 'em! 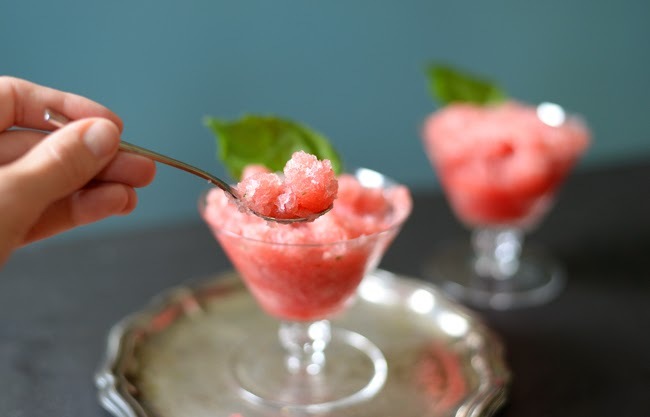 Well, this watermelon granita beats out any sugary syrup snow ball and will probably be the best iced treat you'll have all year. 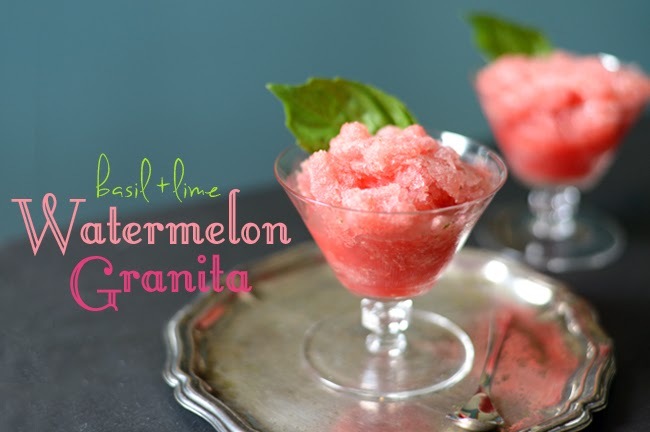 Don't let the fancy Italian term "granita" fool you. This dessert is so simple, it only requires four ingredients. The star of the show is the watermelon, so get a good one. 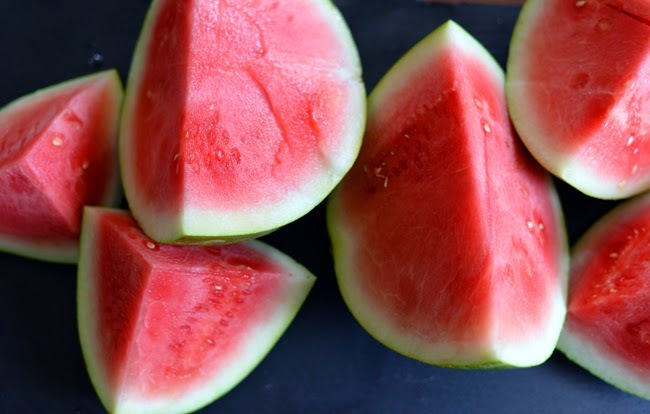 • A ripe watermelon should have a deep hollow sound when you thump it. • It should be heavy... That means it's full of juice! 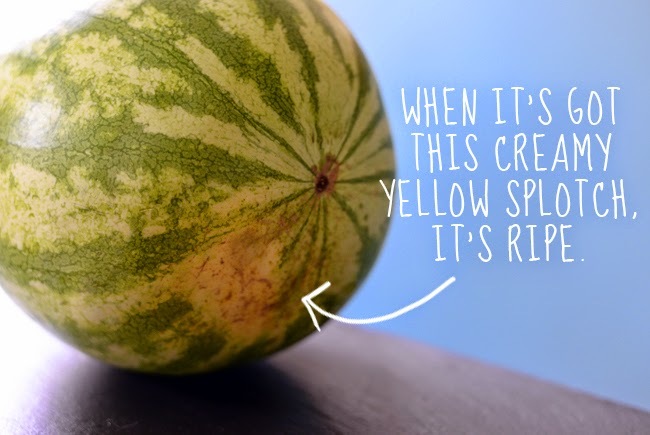 • Look for a yellow splotch on the outside of the watermelon. That's a sign that it had time to ripen in the field. 1. 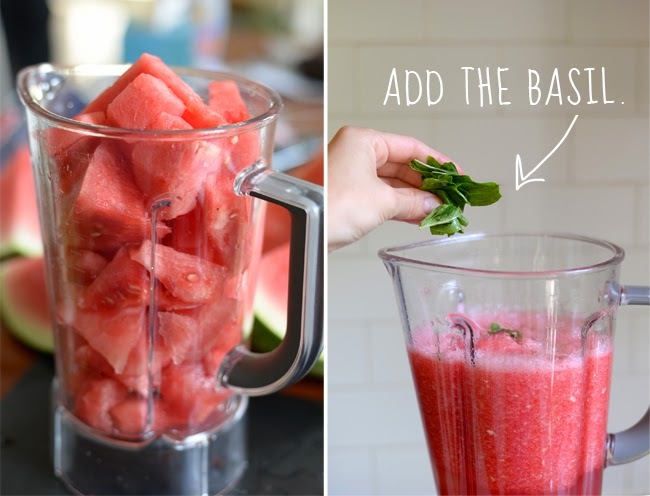 Fill a blender all the way to the top with the watermelon chunks and cover with the lid. 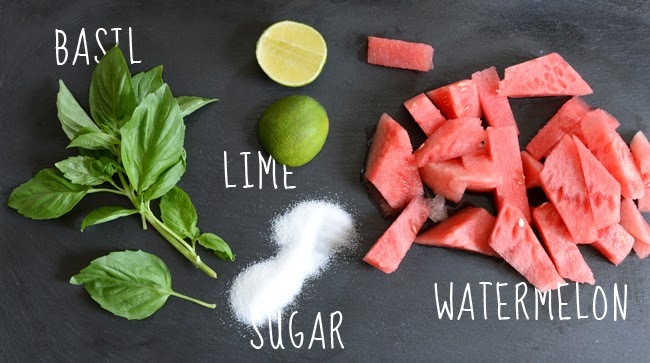 Blend until the watermelon is liquid, then add the lime juice, sugar and basil leaves. Continue to blend until the bits of basil are very small, about 10 seconds. 2. 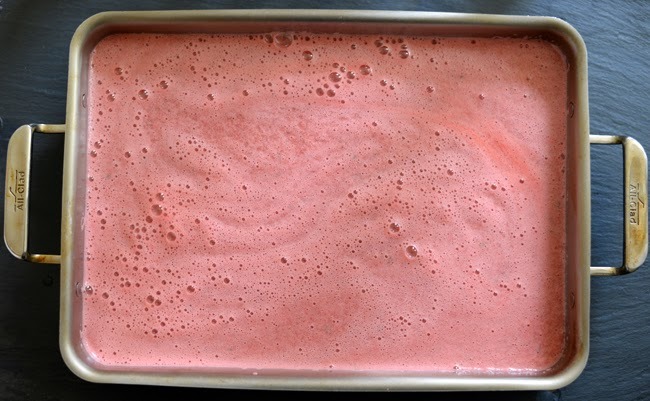 Pour the watermelon juice mix into a metal or glass baking dish, cover with plastic wrap and place into the freezer. After about 1 1/2 hours, use a fork to scrape and break up all the frozen parts. Cover and place back in the freezer. Wait another hour and repeat by scraping with a fork, until all the ice is broken up into flakes. After one more hour, scrape your granita once more with the fork, then it's ready to serve. 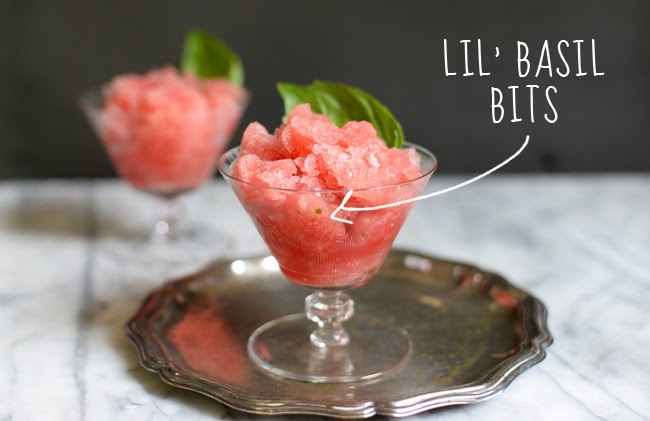 Serve in small bowls or cocktail glasses with a basil garnish. Keep any leftovers covered in the freezer. 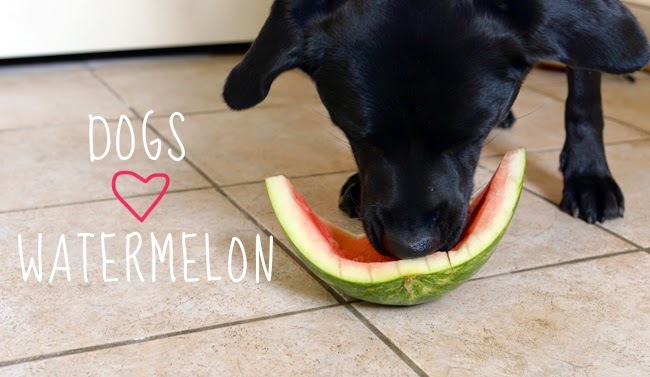 Any leftover watermelon will gladly be consumed by our four-legged friends.